For times when you need a small nitric oxide boost, we've created L-arginine Basic. Get the easy-to-swallow capsules and get the support your heart and health needs. Studies continue to show the benefits of taking l-arginine to promote natural nitric oxide production. Yet, l-arginine alone often leaves users needing an additional amino acid to maximize the benefits. 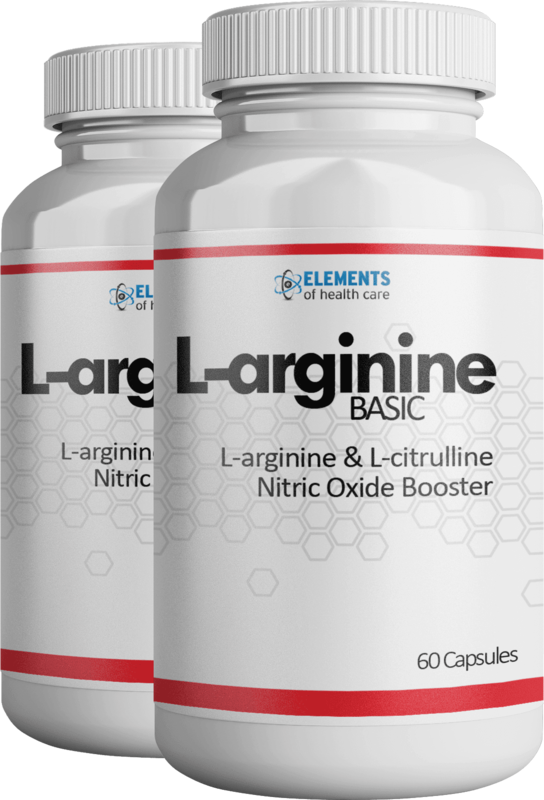 L-arginine Basic is a simple formula that offers both l-arginine and l-citrulline to promote nitric oxide production. 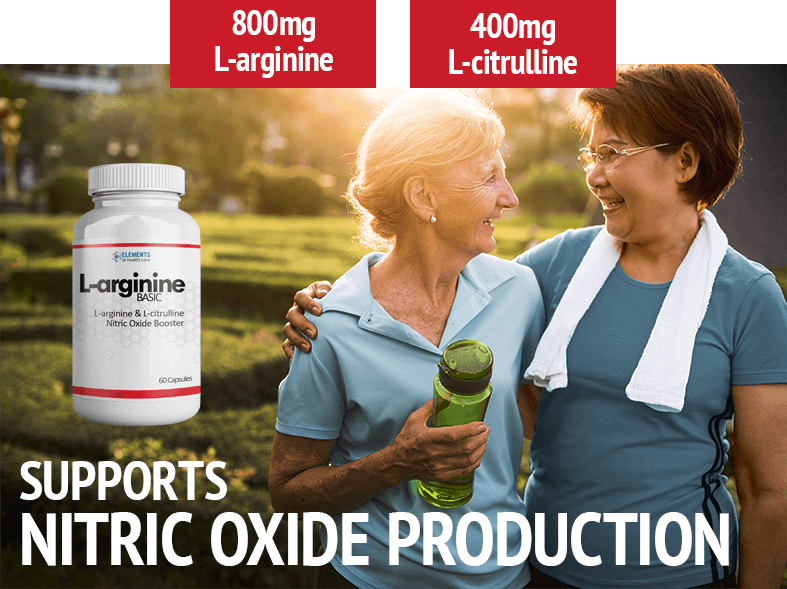 L-arginine Basic can be used in addition to L-arginine Plus® to promote better nitric oxide production without overdoing it. When you need an added boost, you can now reach for these easy to swallow capsules and get that boost you're looking for. Using l-arginine daily has been shown to promote healthy blood pressure, healthy cholesterol, healthy blood flow, and more. * The benefits behind l-arginine help support a healthy heart by increasing nitric oxide and opening the blood vessels. As we age, nitric oxide levels decline. Taking L-arginine Basic in addition to a healthy diet and getting regular exercise has been shown to offer great support as it helps dilate and open the blood vessels. This process naturally enables blood pressure support, cholesterol support, and better blood flow support. Most folks ignore their health and that often leads to more serious health concerns. 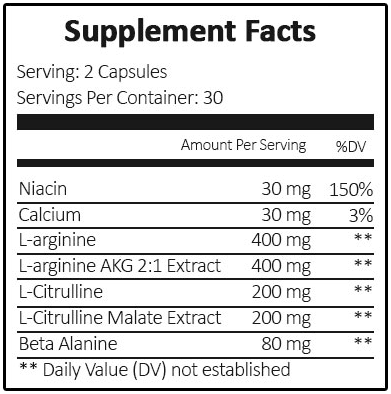 With L-arginine Basic, you can get the benefits of l-arginine and l-citrulline. Both amino acids work to widen the blood vessels and the process offers unmatched benefits. A basic formula to help promote nitric oxide. If you're looking for a little help when it comes to key aspects of you health, L-arginine Basic is perfect for you. This amino acid supplement provides just enough of the key amino acids l-arginine and l-citrulline to raise nitric oxide levels so you see great results. 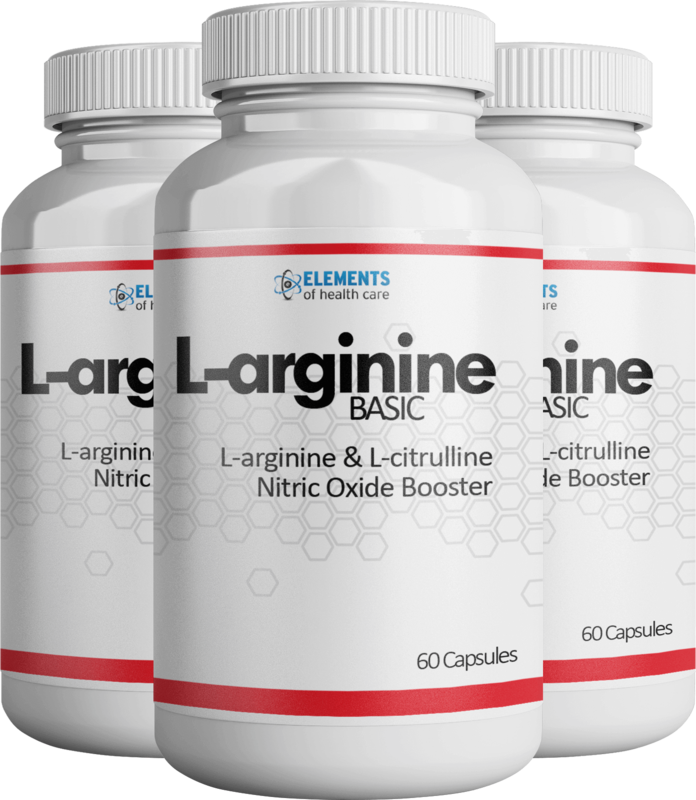 L-arginine is rapidly used by the body to create nitric oxide. L-arginine Basic quickly elevates nitric oxide for great support for the health of the heart. Calcium is known as a key mineral for bone health, but it also plays a key role in the health of the heart, muscles, and nerves. L-citrulline is a companion amino acid to l-arginine and because it is absorbed at a slower rate, it extends the body's ability to produce nitric oxide. The combination of these key ingredients help to increase energy levels and help fully maximize the benefits of l-arginine and l-citrulline. While we highly recommend L-arginine Plus® for increasing your l-arginine intake, on occasion, you may not need as much l-arginine or you want just a little extra during your day. That's when L-arginine Basic is the perfect fit. Take just 2 capsules during the day for an added boost to your nitric oxide production. That means L-arginine Basic helps promote healthy blood pressure, cholesterol, and circulation in just the right way and it is easier to take with you. What's In L-arginine Basic Formula? Inactive Ingredients: Cellulose (Vegetable capsule), Magnesium Stearate (vegetable), Silicon Dioxide. SUGGESTED USE: As a dietary supplement take two (2) capsules once a day. For best results take 20-30 min before a meal with 8 oz. of water or as directed by your health care professional. CAUTION: Do not exceed recommended dose. Pregnant or nursing mothers, individuals under the age of 18, and individuals with a known medical condition should consult a physician before using this or any other dietary supplement. Q. What is L-arginine Basic? A. L-arginine Basic is a complement supplement to taking L-arginine Plus®. 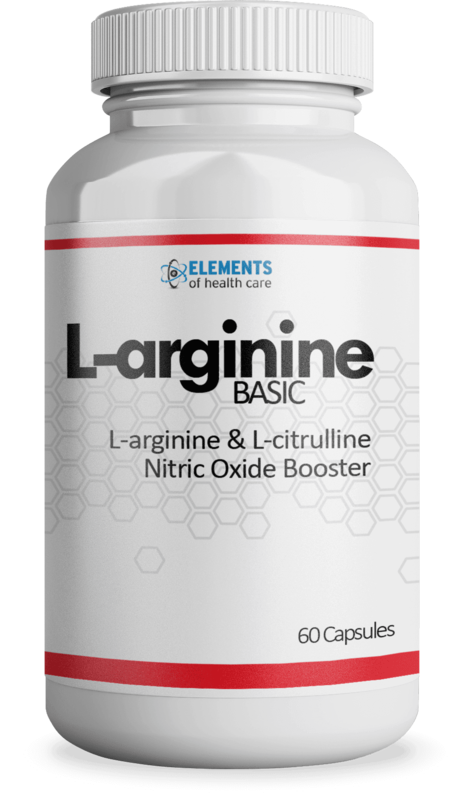 While L-arginine Plus® is the ideal L-arginine supplement, L-arginine Basic provides a way to increase your nitric oxide just a little more. L-arginine Basic includes both l-arginine and l-citrulline along with beta alanine, niacin, and calcium to make it a great workout supplement without causing a crash. L-arginine Basic comes in easy-to-swallow capsules. Q. How long does a bottle of L-arginine Basic last? A. 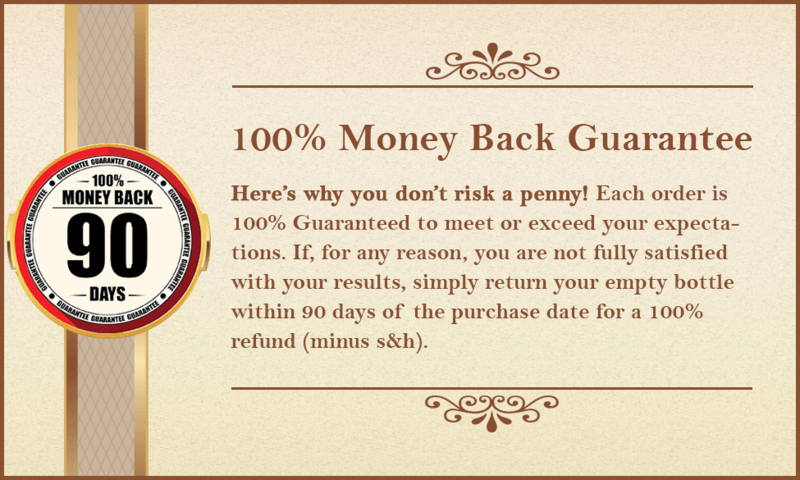 Each bottle of L-arginine Basic includes 30 servings and should last about a month. Q. How do you use L-arginine Basic? A. L-arginine Basic can be used at any time during the day and is a great companion to L-arginine Plus® for those times when you're just looking for a little more of a boost. Q. Are there any side effects that come with L-arginine Basic? A. When used as directed, no negative side effects should occur.